Autonomous demand control and a demand control system are aspects of energy demand management. Energy demand management refers to the modification of energy demand by consumers through financial incentives. It encourages a consumer to use less energy during peak demand times and in preference, minimize overall use or move the time of energy usage to off-peak periods. Demand control systems allow consumers to take control of their own energy usage. One effective method of demand control is through the use of energy storage units or batteries, which store energy during off-peak periods for later release when required. 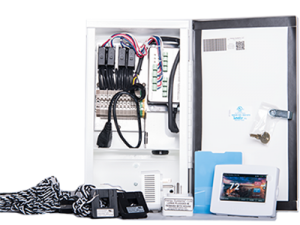 Here at Inergy Systems, we offer our customers both the Smart Panel 3000 and the Inergy Hub for unparalleled energy management. These offer full cloud connectivity and support regional demand control directed by utility companies. The SP3000 is a 3rd generation autonomous demand control / management system, which combines the effectiveness of previous generations with full cloud connectivity to support sophisticated data analytics. With 8 current transformers it monitors mains, solar/battery combinations and another 4 auxiliary loads to support load dis-aggregation. It also communicates with up to 16 wireless thermostats to provide incredibly effective demand control based on the location’s utility schedule. It can also support region-wide demand control directed by the utility companies. 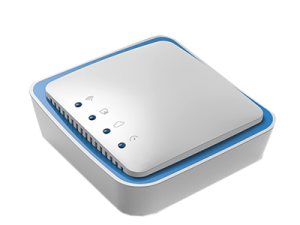 The Inergy Hub builds on the success of the SP3000 with the addition of Zigbee SE to support direct to Smart Meter communications, as well as Z-wave supporting a growing range of gadgets relevant to demand management and automation, such as wireless relays, thermostats, lighting, etc. The hub also communicates directly with smart inverters so that solar and battery storage data can be readily monitored and controlled to realize a fully integrated and advanced grid management system. Expected availability is Q4 2018.